* Please make sure to read through the event details below. Cherry blossoms will be fully in bloom around April 3 in Tokyo according to a flower forecast. 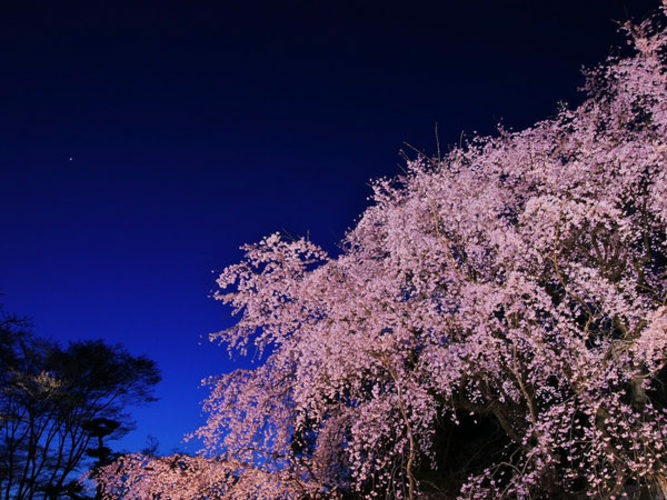 The Lighting-up full-blown cherry blossom will be back to the Rikugi-en. The cherry blossom is about 15 meters high and 20 meters width. It looks so much beautiful with night sky. Let’s get together and watch fully bloom cherry blossom. Anyone can join if you reply “Yes” on this event page. We will meet at the JR Komagome station and enter to the Rikugi-en from the Somei gate. We will enjoy the cherry blossoms for a while, then go to a restaurant to have dining. If you have any question, please feel free to contact the organizers by writing comments here.